–– and the form of education by which Western Civilization had been passed on to successive generations, to which each generation added its own accomplishments, and by which Western Civilization advanced. The Great Tradition, known today as Classical Education, was the system of education that was crushed by the Educational Revolution of John Dewey, the utopian Industrialists who financed him desiring instead a labor pool of workers that were trained (not necessarily educated) in the Artes Servilis, or the arts of the slave. Those essays can be found by following the link, Classical Education, which is also a search label for this blog. 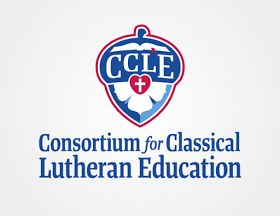 Many readers will also be aware of the fact that I have been an enthusiastic advocate of the Consortium for Classical Lutheran Education (CCLE). 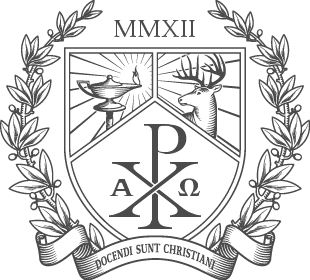 Having been a member of this organization for nearly ten years, and having attended its annual Conferences nearly every year, I remain convinced that the true brain-trust in Lutheran education is to be found among them. I know of nowhere else where a genuinely Lutheran ideology of education, that isn't mashed up and ruined with post-Modern drivel, is even attempted, nor of any truly compelling source of Lutheran educational ideology today, outside of the work of this organization, outside of the truly exciting rediscovery of The Great Tradition and efforts to reimplement it, in which the CCLE is engaged. What many readers may not know is that, as parents of seven children, my wife and I have been committed Home Educators for well over a decade. My wife herself a graduate of home school, we were in agreement even before marriage – even while I was a graduate student studying Education at a public university – that we would educate our children in the home, and, already having adopted it in theory, that we would follow the ideology of Classical Education. Our life together from the beginning had this objective in view. Thus today, in addition to being a full time homemaker and wife, between the two of us Elizabeth being the true intellect, she is also Head Mistress of our “home-based educational program” (as we are obliged to refer to it in the State of Wisconsin), and lives the life she had dreamed of as a girl, and for which she prepared herself in college. Her full time vocations as mother, wife and educator, being altogether as prodigious as they are (especially with seven children), we have very selectively sought supplemental assistance in the latter of these, especially for our older children whose subjects grow more demanding with each passing year. We have been very pleased with the educational services of Wittenberg Academy, in this regard. This online school was started by Justin and Jocelyn Benson several years ago as an overtly Lutheran source of Classical Education, and today, after several years of hard work, they can boast (although I think they may be too humble to boast...) of having a highly qualified staff of teachers delivering an impressive array of course offerings, to those desiring supplemental coursework for their children (whether Home Educators like us, or otherwise), as well as to those who've enrolled their children in Wittenberg's fulltime high school degree program. Even though I had been acquainted with the Bensons through our mutual association with the CCLE over the years, and with our children's involvement in Wittenberg Academy, I was still rather surprised to be asked by them to lead a discussion group last April, at their first annual Wittenberg Academy Family Retreat. We had been registered for some time already, were planning to attend, and were looking forward to taking in Dr. Ryan MacPherson's three-part presentation on Vocation, entitled Discovering Your Vocations in the Family, Church, and Society. We had met Dr. MacPherson and his wife several years ago, and though having only infrequently corresponded with him via email since then, we have always been interested in his work, and eager to read and hear what he has to say. A Professor of American History at Bethany Lutheran College, Dr. MacPherson is also President of the Hausvater Project – an organization that "seeks to equip Christian men and women for distinctive and complementary vocations in family, church, and society, by fostering research and education in light of Holy Scripture as proclaimed by the Lutheran Confessions." It was under the auspices of the Hausvater Project that he delivered the plenary sessions at the Family Retreat.